Don't miss this original graphic novel from Anthony Bourdain, renowned chef, New York Times bestselling author (Kitchen Confidential, Medium Raw) and star of the Emmy-winning hit travel show No Reservations and the new series The Layover! 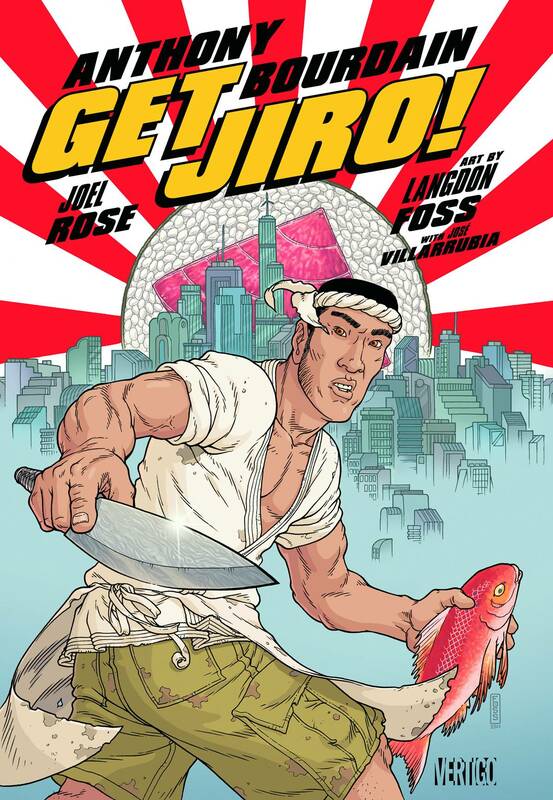 Cowritten with Joel Rose (LA PACIFICA, Kill Kill Faster Faster) this stylized send-up of food culture and society features spectacular detailed and dynamic art by Langdon Foss. In a not-too-distant future of food-obsessed L.A., where master chefs rule the town like crime lords and people literally kill for a seat at the best restaurant, Jiro, a renegade and ruthless sushi chef arrives in town with strong ideas of his own. It's a bloody culinary war of epic proportions, and in the end, no chef may be left alive!